Joseph Mallozzi's Weblog: May 4, 2010: Victory is sweet! And peanut buttery too! 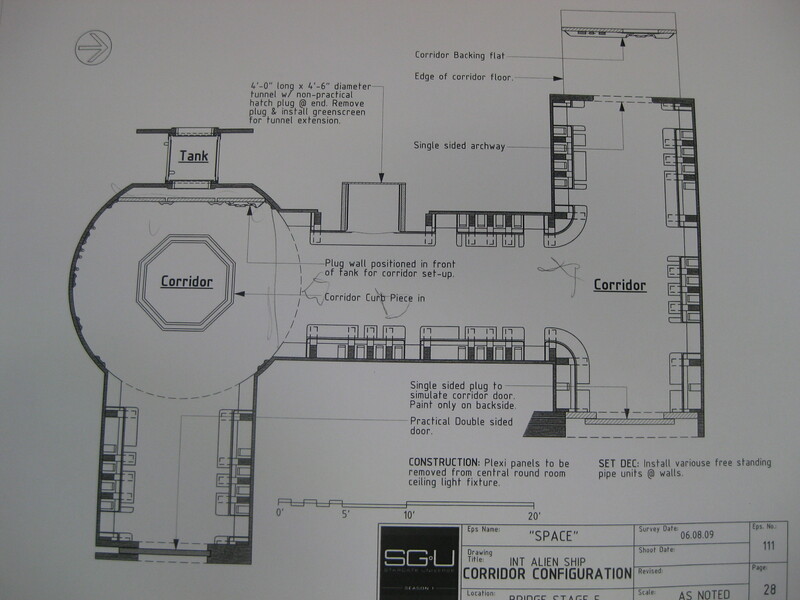 Artwork, schematics, and set pics from Stargate: Universe episode #11, Space! May 4, 2010: Victory is sweet! And peanut buttery too! 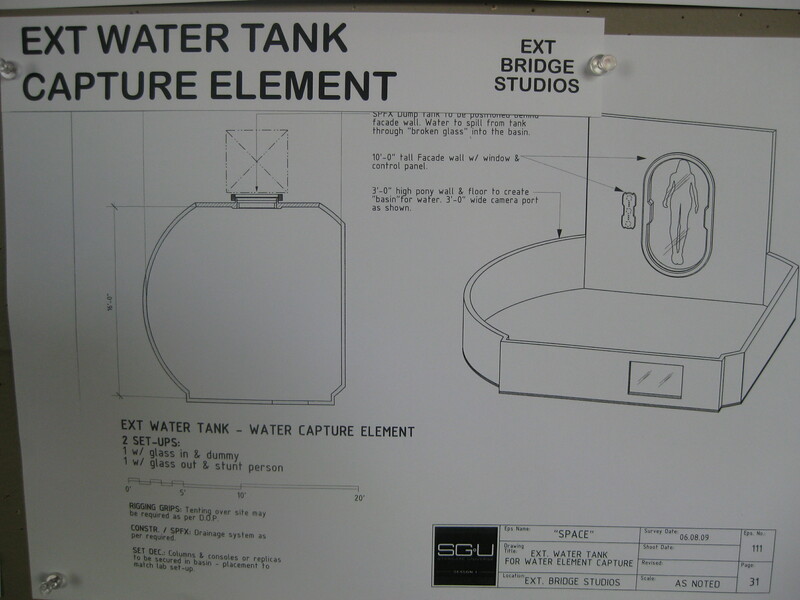 Artwork, schematics, and set pics from Stargate: Universe episode #11, Space! 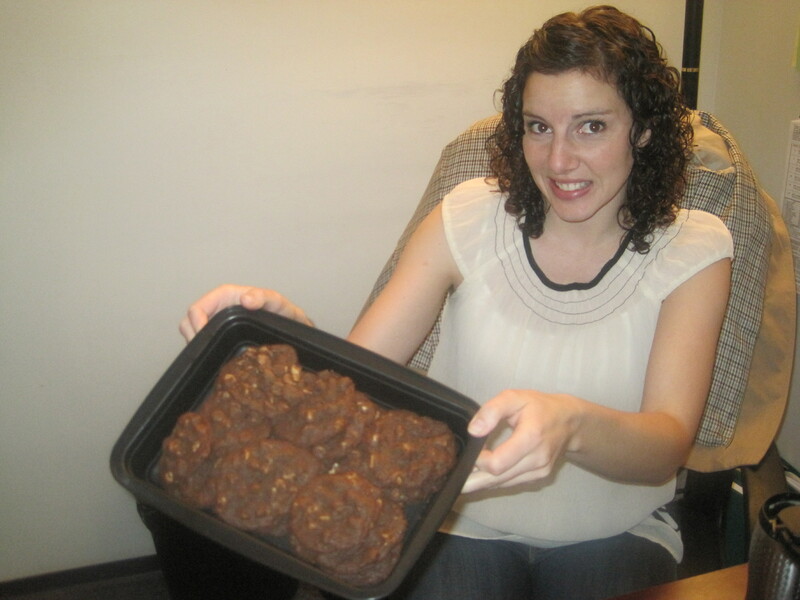 A regretful Ashleigh offers up a batch of chocolate peanut butter chip cookies. Rather than immediately trash the cookies (my first instinct), I decided to throw caution to the wind and sample one. Taaaaas-tyyyyy! I don’t know what the hell she was going on about. They were great. And I told her as much. “You’re just being nice,”she countered. Nice? Me? When the hell am I ever nice? I’ve had people prepare meals for me out of the goodness of their hearts and thanked them by writing pointed reviews of their efforts. “No, I suppose you’re right,”she realized. Still, I suggested that I should eat the cookies and spare her the potential embarrassment of my fellow writer-producers being hugely disappointed in the results. I warned off Lawren whose response was something along the lines of: “Wait a minute. If something is bad, you usually tell me it’s good so you can watch me eat it.” I insisted I was being genuine as a thank-you for his proof-reading Resurgence and making sure it was mistake-free before putting it out last night. “But, I did put it out with a mistake,”he reminded me, pointing out the oversight I had just mentioned to him moments earlier. I assured him he was overthinking it. For his part, my writing partner, Paul, demonstrated absolutely no confidence in me by immediately marching over to Ashleigh’s office and trying a cookie. His response… “Great”? “Thank you”? “How thoughtful of you to bake these cookies for us”? Try – “Too many peanut butter chips.” Interestingly enough, that didn’t stop him from having another one at lunch. As I was about to head back to my office, I noticed the first draft of my new script, Resurgence, sitting on Ashleigh’s desk. “Have you read it yet?”I asked. See?! This is what I have to put up with every day (except weekends when she refuses to see me)! 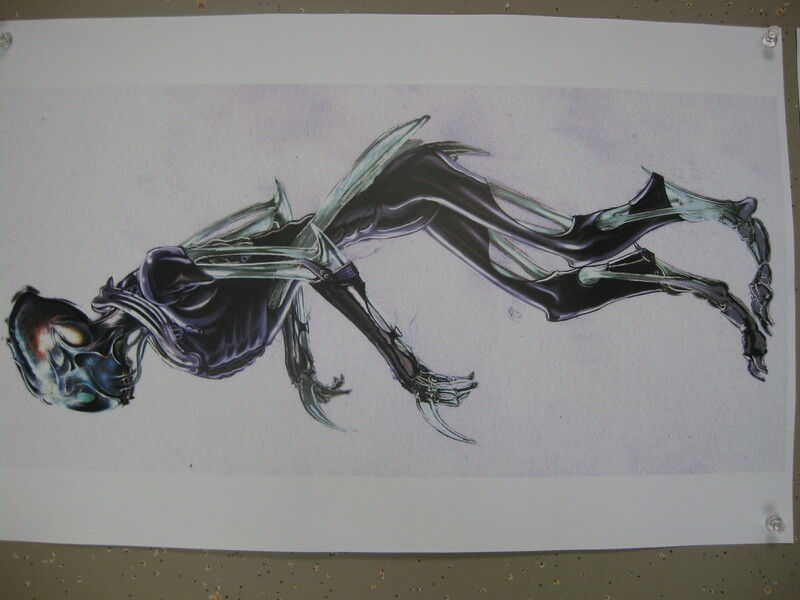 Concept art of the blueberry aliens. A rare dancing pic of one of the blueberry aliens attending his nephew's bar mitzvah. 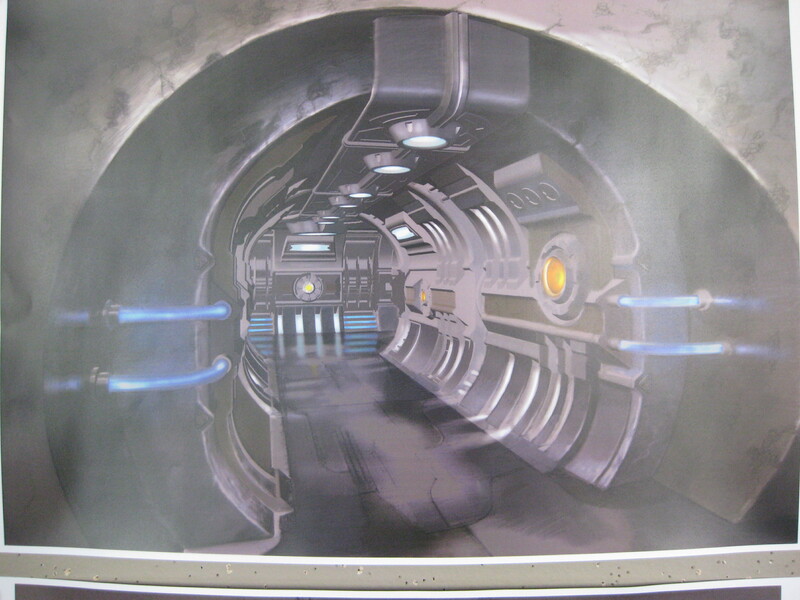 Working on the alien corridor. Director Andy "let's get down to business" Mikita. 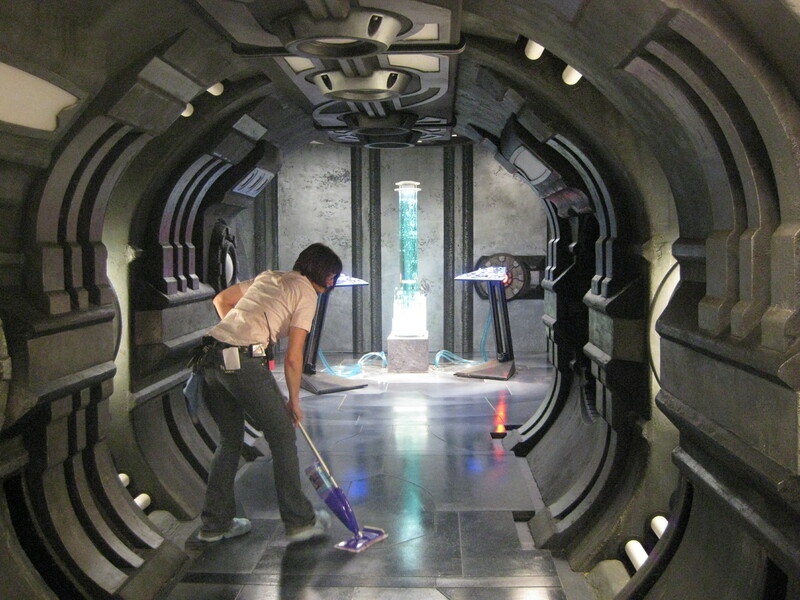 Cleaning up after the aliens. Don’t forget to catch Ming-Na on the Today Show, tomorrow morning at 9:00 a.m.! Today’s entry is dedicated to birthday boy Craig. Previous Article May 3, 2010: Battles with Ashleigh! Production Update! Miscellaneous Pics! And the Mailbag! Next Article May 5, 2010: Cookie-gate! Early script feedback! 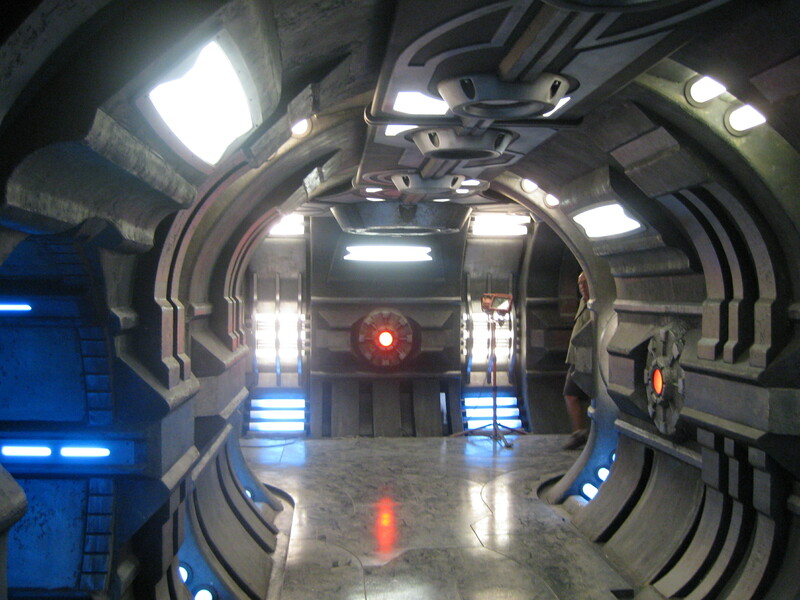 And a little something from the Atlantis vault! PS: Oh, and Joe? Remember me saying how you and Ashleigh remind me of Todd and Sheppard?? Well…I’m really tempted to tell you the same thing I tell them. Saw your post from yesterday and the baguette looked delicious. One of my favorite recipes is sourdough bread, sliced granny smith apple, brie, and sliced onion "grilled cheese" – that with a delicious tomato bisque makes a lovely cold weather dinner. I have to say – when I first saw the Blue Dudes I thought it was pretty bold going for something so different looking (and since things like that can be hit or miss ) – not in a bad way though I mean, look at that eHarmony profile picture. Who wouldn't want some of that? LMAO over the Blueberry Alien. He must have downloaded Rush’s memories of Saturday Night Fever specifically for the bar mitzvah post-ceremony party. Did I miss ELyse’s Q& A? I am so out of sorts, i don’t know… i’m thinking a day at the PGA spa may help. Whhaa? Wh why such an early post? You must have plans for the eve. Have fun! Gee, Ashleigh, you were quick with the cookies. You can never go wrong with chocolate and peanut butter! (Unless you burn ‘em). Paul, I don’t think there is no such thing as too many chips…. The cookies would have been good with some banana chips, or toffee bits, as well. yummmm. What did you do for blog material before Ashleigh was hired? 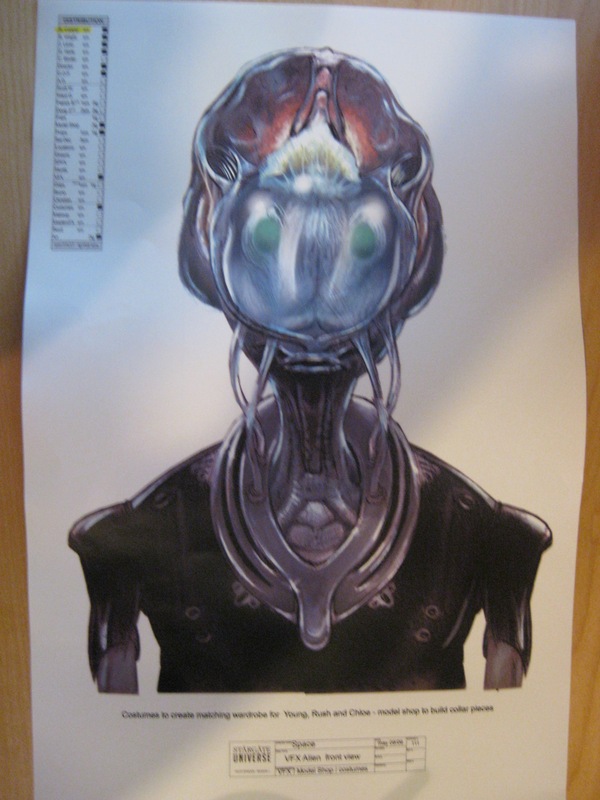 I laughed at the blueberry aliens. You may have just officially named them. I read the 2nd half of the Robert Carlyle article. (Thanks for posting Morjana). I think it’s sad that he didn’t think he had a family growing up. He and his father were a ‘family’ albeit a small one but, nevertheless, it’s more than some people have. I bet Robert is a really great Dad! 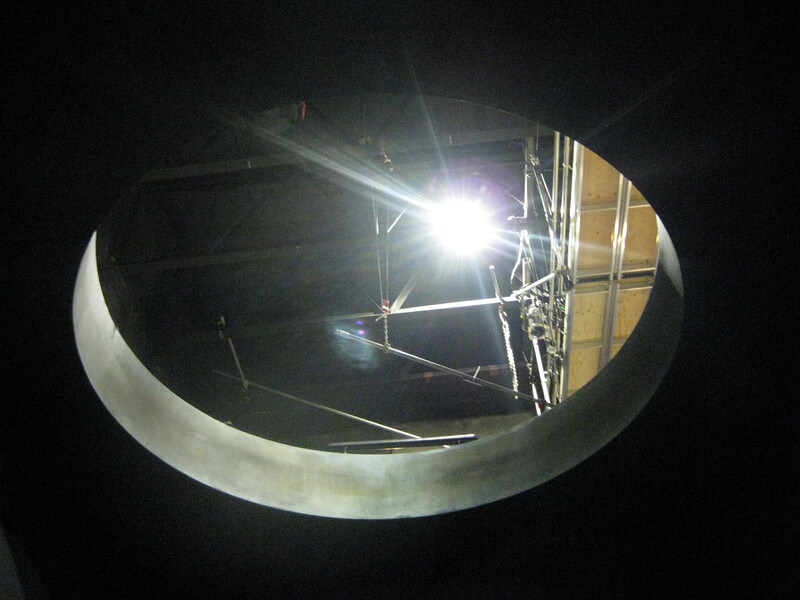 Thanks for the behind the scenes pics. Belated congrats on the Leo nominations!! Hey Joe, I’ve commented before but not often and never with this brand new ID (Formerly the one lettered “C.”) so I’m not a total newbie here, even if it looks like it. Just wanted to say I’ve been staying away because I got really far behind on Universe and didn’t want to be spoiled. I’m all caught up now, and I’m loving it. I’m kind of sad though, because in my (admittedly brief) quest for an online fandom, I’ve mostly just found a whole lot giant squids of anger. You know the sort, no matter what happens they’re just going to wave their arms in the air and spew negativity. Haven’t spent much time at the Gateworld forums because they’re so vast, but will check them out. 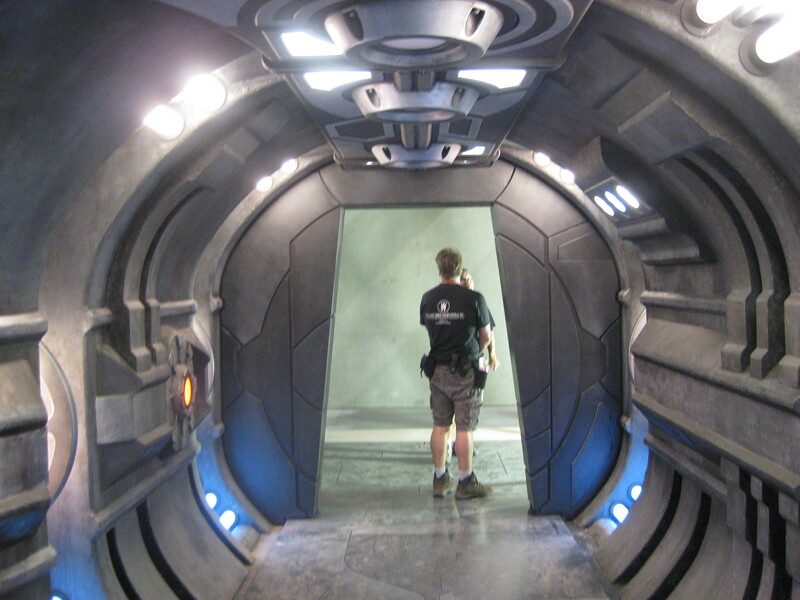 Do you guys still feel like you’re getting a lot of criticism for the different feel of SGU compared to SG1/SGA or has all that bile kind of simmered down? 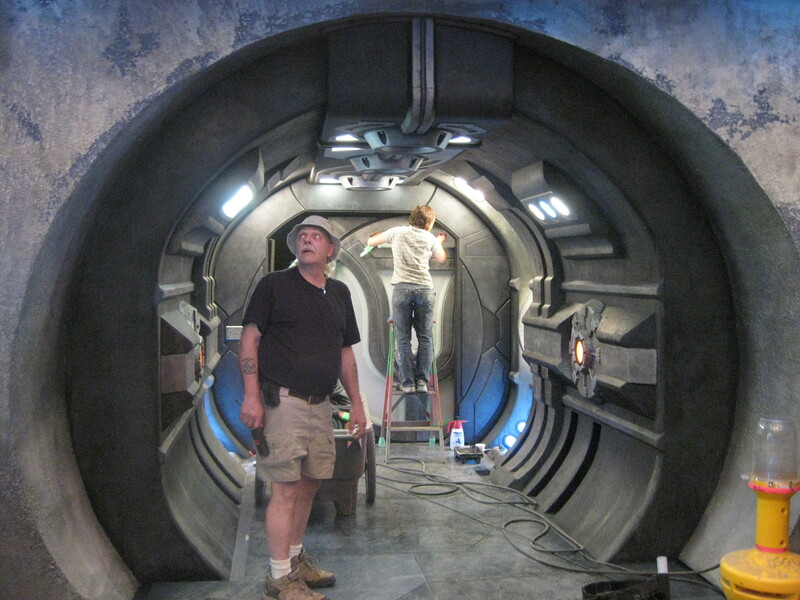 I hope so, because — while I love SG1/A to death — I’m really digging what makes SGU different. And what makes it similar. It’s just a really good show. Please tell Paul you can never have too many peanut butter chips. They look delicious. Nice job Ashleigh. Very colorful pants/shorts on Mr. Mikita. Was he golfing later maybe? We never get Ashleigh’s side of things – does she read your blog or are you counting on the fact that she doesn’t? You do know that the traits we find irritating in others are often found in our own character – “sneaky, conniving, cruel and occasionally vengeful” – look out, Joe! 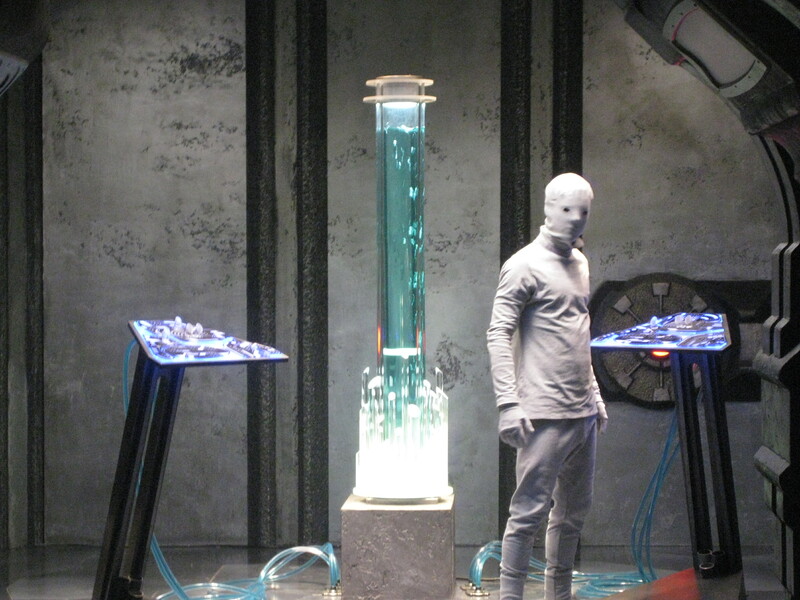 Our resident super villain trainee Ashleigh posts occasionally here. The good news is that if Ashleigh let others eat the cookies, they are probably safe for you. But you are fortunate in having someone who is so prompt on paying off bets. Admirable group of people you work for. very nice pics. Your websight would be a fantastic source of information for a course on the production of a tv show, especially a sci fi show. Why people seem to think of Sci fi as a lesser literary form than other genres continues to amaze me, especially when we see shows such as the Stargate franchise, Babylon 5, and even the Star Trek shows. Just glad you and your writing partner moved into this line of work and joined up with other such capable people. I’ve never seen these words put together like this before: “the chocolate-peanut butter combo didn’t work”. I bet she hamstringed you and used zero dairy products. @ Deni – Ooooh…Ex-Lax. Yeah, that sounds more devious than licking the tops of all the cookies, or something. I think that mebbe you and Ashleigh should get in touch with one another, and exchange supervillain tips. Now – speaking of supervillains, let’s switch gears and talk about superheroes. Real ones. First, back in 2006 German director Werner Herzog gets shot… then pulls Joaquin Phoenix from his overturned his car. I think we have the beginnings of a new Avengers team right here. @paceofnature: I totally agree – it’s too bad people feel the need to tear something down in order to validate their love of something else. 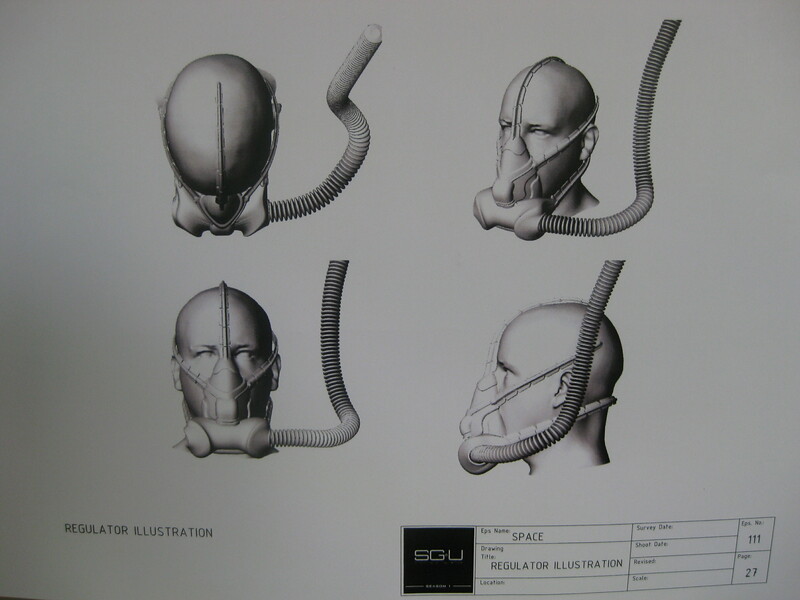 We all knew SGU was going to be really different, it really shouldn’t have surprised us that it is. It doesn’t change how great SG-1/A were. I think so many fans out there are still mourning for their fav characters – I know I am – that they have a hard time seeing the good in something new. 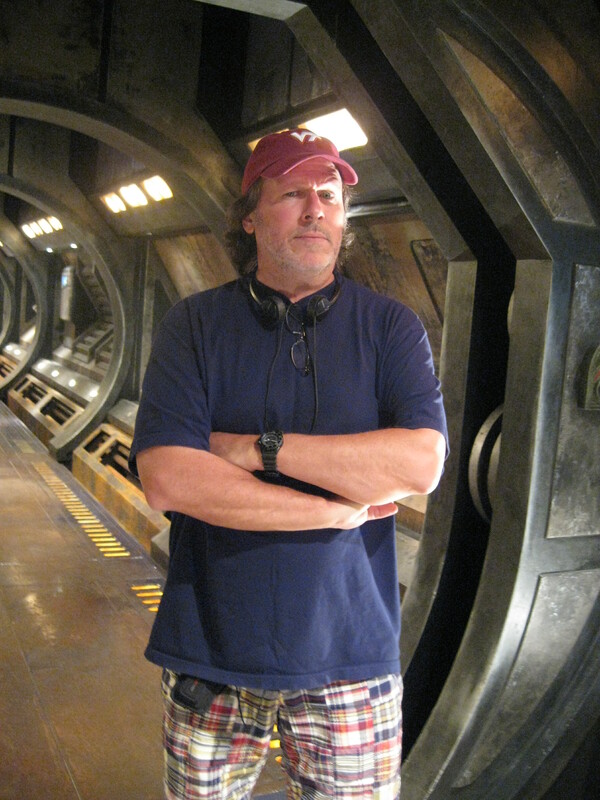 And even if they truly don’t like SGU, they don’t have to rip it up one side and down the other – no one’s forcing them to watch it if it really bothers them. I get the feeling the cookies weren’t poisoned, if only to lull you in a false sense of security when she does poison you for realises down the line… Be ever vigilant, young one. Ever vigilant. 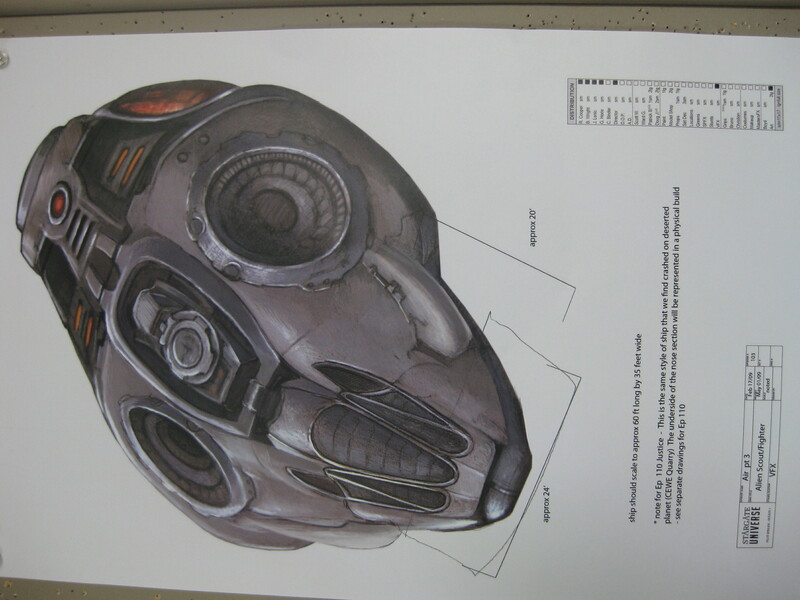 Great production art, love coming here to see behind the scenes stuff. 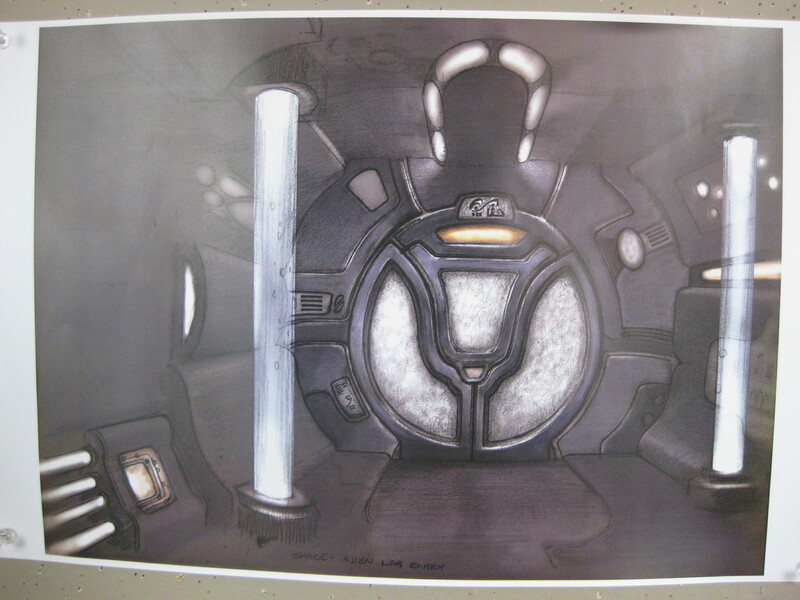 Q: Do you have a production art/concept art for the outside of the SGU alien motherships ? Chocolate-peanut butter cookies, hey? Have you noticed how both chocolate and peanut butter chips have a mild resemblance to egested matter, albeit reshaped? Wonder whether that’s what Ashleigh used… may have just put a sprinkling in, just so that you didn’t notice the difference. Imagine that. You sure you didn’t taste anything a little odd in the cookies? @Matt Silver – that was what I was thinking. But if the cookies are genuine uncontaminated artifacts, I’d like one. They look and sound yummy. @Das: Wait a minute, wait a minute, wait a minute! I come up with “laxative” and you throw me to the supervillains? Ok, I’m in. Merci pour toutes ces photos!! 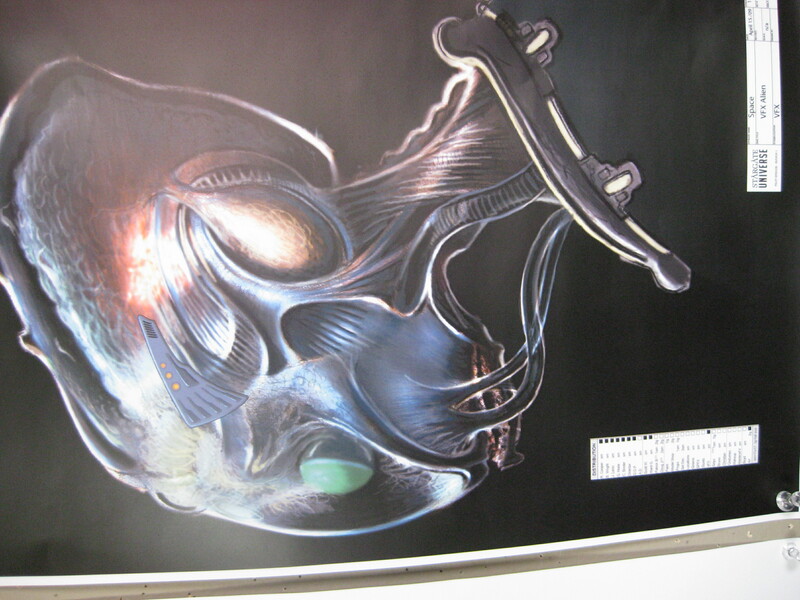 Les aliens de sgu font vraiment peurs, de qu”elles animaux vous êtes vous inspirez pour le créer? Je me demande bien dans quel épisode ont sera enfin leurs noms..
hummm les coockies d’ Ashleigh ont l’air délicieux! !